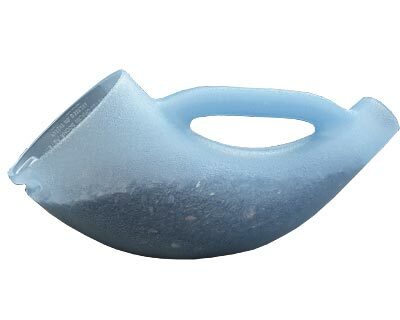 Keep your bird feeders full with the Droll Yankees Seed Scoop in Blue. This item features a wide mouth for scooping and a narrow funneled end for pouring. The well-positioned handle makes the transition from scooping to pouring quick and easy. The Droll Yankee Seed Scoop can be used for bird seed, pet food, animal grain, ice melt, or whatever you need to scoop. The flattened base allows the scoop to rest on a flat surface without spilling its contents. It measures 14" long and holds over 2 pounds of seed or grain. The blue color and durable plastic construction are designed to withstand years of daily use. Maintain your bird feeding regimen with help from the Seed Scoop in Blue. Made in the USA. Capacity: 1.33 qts., 2 lbs.